When you’re looking for a place where you can park your RV at any time of year, look no further than Orlando RV Resort in Clermont, FL. Located on 255 acres in the heart of Florida’s orange grove country, nature is just a step away. When it comes to buying trailer tires, the numbers you’re probably most concerned about are size and price, but there are a host of digits—and letters—imprinted on the sidewall of your tires, and knowing what they mean helps you better understand how your tires work, and how you can choose the safest trailer tires for your needs. Araby Acres RV Resort, A Snowbird Oasis In Yuma, AZ! Some places bill themselves as being in the ‘Valley of the Sun’. Yuma however is the ‘Home of the Sun’. Araby Acres RV Resort is located in the eastern outskirts of Yuma and is close enough to downtown to reach it easily. 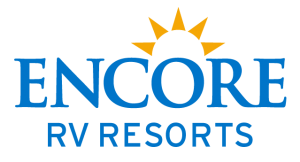 This Encore RV resort has 330 sites, including areas for park models. The people are very friendly and helpful in getting you settled in, plus a large number of guests are from Canada. Come see why hundreds of Snowbirds call Araby Acres their home away from home. Visit the Mesa-Phoenix Area & Explore the Beautiful Southwest! Looking for a new winter home away from home? Well the beauty of the Arizona desert, its splendid colors, the unique flora and fauna, and the purple mountains will have snowbirds rethinking their tropical migration. When you find an RV park with the right mix of people, it’s hard to leave. That’s the sentiment at Riverside RV Resort and Campground in Arcadia, Florida. With 602 sites, this pet-friendly, close-knit community is a popular destination amongst RVers, especially Canadian snowbirds, many of whom have been wintering in the park since it first opened twenty years ago. You’ve made the investment in a quality refrigerator for your RV. Now you need to learn what you can do to keep it running for the life of your RV. Some maintenance can be done yourself, but others require a service technician. The west coast of Florida, with its white sand beaches lapped by the warm waters of the Gulf of Mexico, has been attracting a growing number of Canadian tourists in the past few years. The Fort Myers area, located in the southern part of the state and blessed with a lush subtropical vegetation, is no exception to this trend. Just across the Caloosahatchee River from Fort Myers, you will find one of the places where visitors from up north are best represented in the vicinity: Pioneer Village RV Resort. 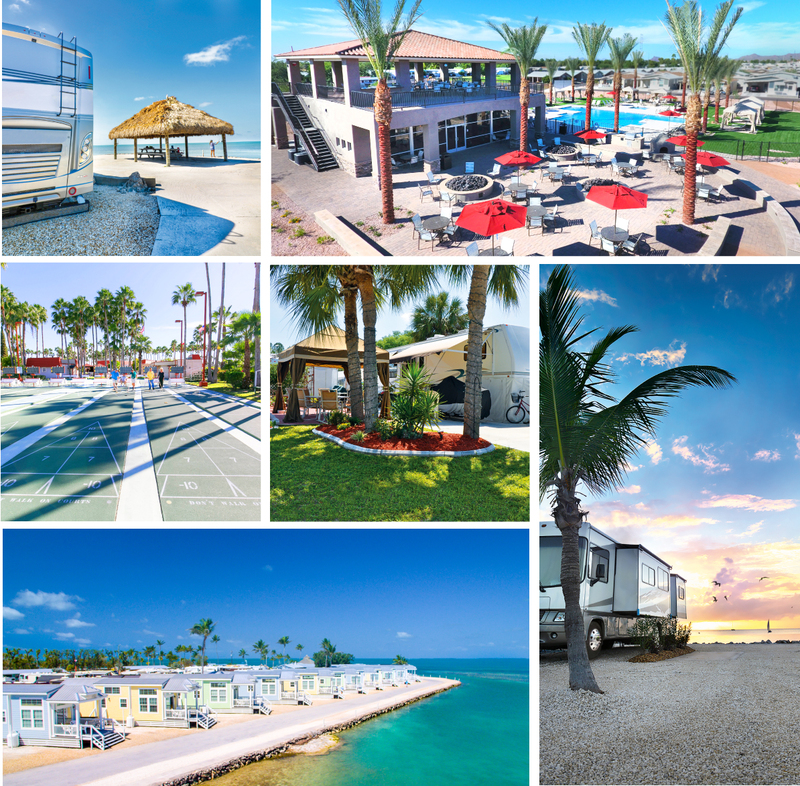 This popularity should come as no surprise, since at only 25 minutes from the renowned beaches of Sanibel and Captiva, guests of this vast resort can unwind in a relaxed and friendly venue – which comprises over 500 RV sites and is home to more than 200 permanent residents. Any time of the year, fun is always there! Take a Winter Break in Orlando – Kissimmee, Florida! There’s so much to do in the Orlando – Kissimmee area. There are hundreds of amazing things to see and do including the big name theme parks. Make your next winter getaway to Orlando – Kissimmee and you’ll be glad you did. This 120 mile stretch of island chains is home to North America’s only living coral barrier reef. 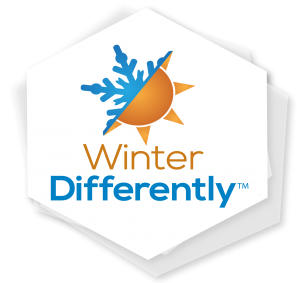 It’s a great place to spend your winters, stay active, have fun and meet wonderful people! The Florida Keys are located off the southern coast of Florida. While we may think of them as a series of islands, they are actually exposed portions of an ancient coral reef. The southern part of Key West is only 140 km (90 mi) from Cuba. Many of the islands are connected by an astounding 42 bridges! Getting here is easy. Take US 1 Florida City (south of Miami) to Key Largo and you’re on your way. You can also fly into Miami International Airport and rent a vehicle there. When Spanish explorer and conquistador Juan Ponce de León set out in 1513 for the fountain of youth, he reportedly discovered DeLeon Springs, located west of Daytona Beach, Florida. Although the story of Ponce de León and the fountain of youth is supported by very little historical evidence, it’s not hard to see why people link the Daytona Beach area to that idyllic, mythical location.